The mixed grill is a serious challenge for any carnivores in your life. Whichever selection of meats you choose to use can make a substantial meal for one super-athlete in your family, or a significant spread for the whole (family) team. There are other versions of this meal where chicken hearts and chorizo, garlic, onion and chutneys are included. Mushrooms: allow at least 2 medium-sized per person because 1 single mushroom on a plate looks pathetic! If using bacon rashers in your mixed grill, add them to the pan in the last few minutes; as they need less cooking time and taste like wood if overcooked! 1. Preheat the grill or griddle to high. As the meats need different cooking times, keep a hot baking tray ready for the cooked items as you go along. Have a serving dish heated ready. 3. Grill the mushrooms and tomatoes for 5-8 minutes beneath a hot grill. Keep warm. 5. 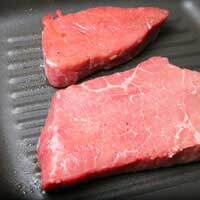 Transfer cooked meats to the baking tray as you go but avoid over-cooking them. When everything is ready, arrange the cooked meats, mushrooms and tomatoes on your serving dish. Garnish with fresh watercress or other leafy green salad to provide a contrast of colour.Boiled new potatoes and peas are good accompaniments to this dinner. It makes a change and is a quick, straightforward, dish that your diners will hanker after again! For a perfect mixed grill, it is very important to marinade the lamb at least 8 hours: you should put the meat in a ceramic or glass bowl, and then cover all with a mixture of vinegar, garlic and rosemary.